Durham farm holidays offer cheap holiday rentals! Here you will find a wealth of English country cottages to choose from in our listings of self-contained farm cottages and farmhouse Bed and Breakfasts. All offer quality accommodation at reasonable rates. If you are looking for cheap accommodation in a peaceful setting within the heart of the English countryside then look no further. You are sure to find holiday rentals here that suits your needs. If you do come to Durham visit the fascinating Beamish Museum set in over 300 acres of beautiful countryside. It is an open air museum where you can step into the past and see people in historical dress. Visit the town, colliery village, the working farm, Pockerley Manor and the 1825 railway, where life has been recreated as it was in the North East in the early 1800s and 1900s. You will be able to see old farming practices such as candle and lace making. Don't leave without popping into the sweet shop to watch them make old-fashioned sweets or listen to the lessons at the old village school house. The city itself is also famous for its castle and cathedral. However, there is also Auckland Castle and Raby Castle to visit during your holidays, if you have the time. Raby Castle has been home to Lord Barnard's family since 1626, and makes a wonderful day out with its huge deer park and summer events. The county also boasts an extensive coastline which is ideal for long country walks. Castle Dene Nature Reserve can be visited, which has 550 acres of beautiful, natural woodland and 12 miles of footpaths for those who like an active holiday. Wild flowers and woodland birds can be seen in abundance on your Durham farm holidays. 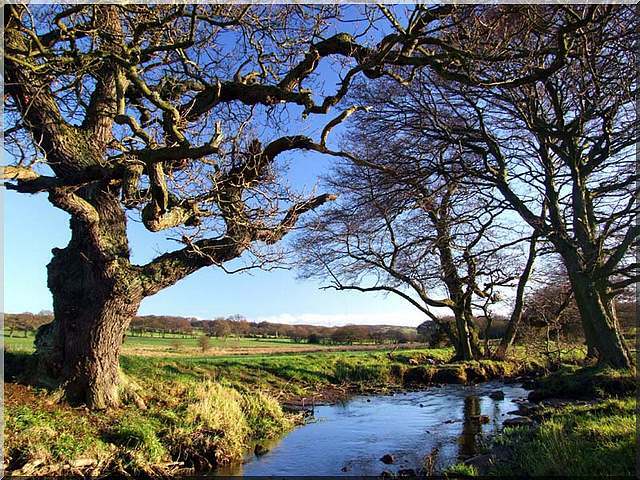 Durham Dales, part of the North Pennine Area of Outstanding Natural Beauty, is for those who like open spaces and stark beauty. The Dales offer some of the country's finest scenery of rugged upland and impressive waterfalls such as the one at High Force, which falls dramatically over massive boulders for 70 feet to form the largest waterfall in England. There are also gentle river valleys, wildflower meadows and drystone walls with heather moorlands to the west for you and your family to enjoy. Many farms can be found in the Pennines offering beautiful farmhouse accommodation It also offers great open spaces that is ideal for walking, cyling and horse riding. There are also some of the finest fishing opportunities in the country for coarse, fly and multi-bait fishing at Derwent, Cow Green, Selset, Grassholme, Balderhead, Blackton and Hury reservoirs across the North Pennines. Come to Durham for your next farm holiday. You will find holiday cottages, country cottages and B&Bs listed in our holiday rentals and holiday lets where you can stay on working farms and enjoy the moors and Pennines at your leisure. If you have a farm in Durham that you would like to showcase visit our Farm Forum. You can upload a picture and brag a little. We don't mind! Share a farming story, tell us about your best or worst farm holiday and lots more. There are other individual farming discussion boards to contribute to through this forum, as well as a Craft & Recipes Forum where you can share your favourite recipes and also get some crafting ideas for various arts & crafts.